said, “technology improves things so fast that by the time we can afford the best, there’s something better. Technology is also used not to merely cut manpower, but to empower those whose jobs are replaced by the technology to do a more meaningful, creative, and safer work.” Today technology also has improved the food and beverages industry. Food science and technology are developing in cooperation to produce new trends. Some of them are predicted, but others may surprise you. Over the past few decades, food technology, including ERP systems within the industry, has been changing rapidly. Founded in the 1990s, the software has been creating new trends which have evolved the industry itself. One of the trends that people are talking about is the Internet of Things or IoT. In this article, Dini Teja, Trend Analyst at Hashmicro explains how IoT can help the F&B industry boost its business process as well as the challenges this process comes with. The main purpose of an ERP system is to gather all information within companies or organisations within one unique platform. Through data gathering, IoT has transformed the food and beverage industry from being reactive to proactive to predictive. By integrating it with Internet of Things, ERP system within the Food and Beverage Industry is predicted to be more powerful and efficient. In most cases, the integration F&B Industry and IoT allows companies to get insight on customers’ behavior by putting sensors on your processing machine, for example. It also allows companies to predict or forecast failure in the future. This information will be gathered into the ERP system. Within the inventory system, for instance, the sensor will convey the information that they have low stock in real-time. They system will make sure that the product will never out of stock. Many industries nowadays have implemented the ERP system within their organization. ERP itself has benefited the industry to grow faster and more efficient. Can you imagine how the combination between Food & Beverage and the Internet of Things? Many believe that within the Food and Beverage Industry, the IoT will be able to benefit significantly from streamlining product-to-market processes to expanding their visibility into their supply chains. 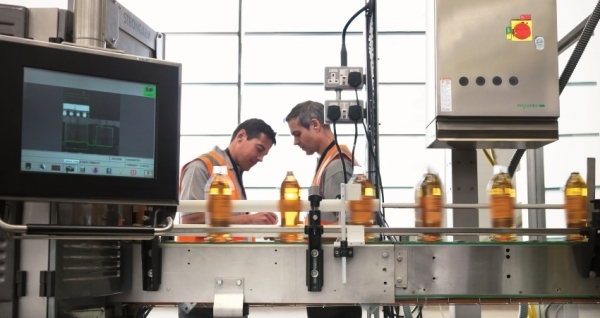 Here are the some benefits of the integration between Food & Beverage Industry and IoT. We know it requires the precise analysis to preserve ingredient and product quality when it comes to Food and Beverage supply chains. You will need paying attention to the products to ensure the continuity product-to market delivery. Moreover, in order to gain the positive ROI, the timetable of storage, processing and distribution must be strictly adhered. By digitating the F&B industry, the methods of ensuring visibility across the supply chain is improved because it can deliver a real-time update. Therefore, the information you need will be more accurate. Most importantly, it gives the ability to monitor emerging trends to give you better information. 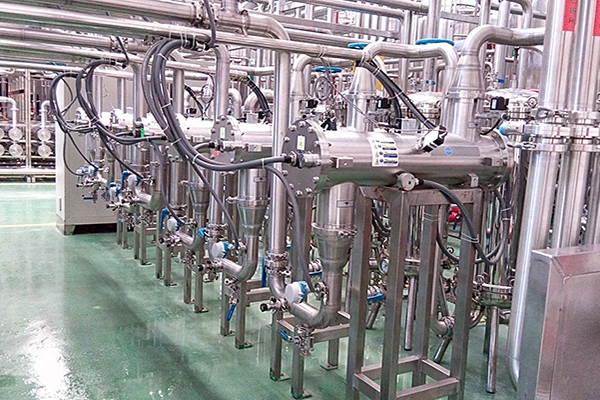 Since the FDA (Food and Drug Administration) Food Safety Modernization Act (FSMA), the world of Food & Beverage Industry has become more stringent. However, with the implementation of Internet of Things the entire supply chain becomes more compliant. It allows you to use various sensors to monitor production status to shipping times. IoT also will let the organization check the safety data points closely. IoT will be able to monitor each stage of the food processing automatically. Thus, every staff within each stage will receive the information directly. With this benefit, the reduction of food waste can be prevented. This also means cost saving for the organization. We know that the product label can merely provide general information about the products. Yet, what we need is a comprehensive information from the origin of ingredients, how old the ingredients before they are utilized, or how it is processed. Customers need to know if any ingredients can evoke the allergy. By implementing the IoT into the Food and Beverage Industry, customers can access products’ information easily. Among the benefits that IoT proposes into the Food & Beverage Industry, there are some challenges that need to be faced. Based on an IFS survey in 2017 written by Charles Rathmann, Senior Marketing Communications Analyst at Hashmicro, only 16 percent of 200 marketing and contracting managers that consume IoT in ERP software. 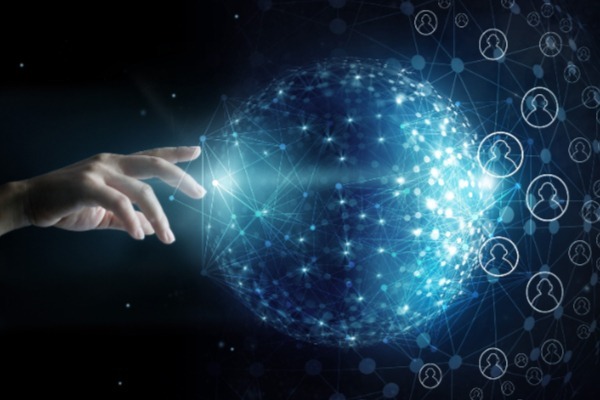 It means that 84 percent of industrial companies disconnect data from connected devices and strategy-making and operations. He continues that this is limiting the digital transformation of the manufacturing industry. The research also showed how well ERP and other software prepares industrial companies to consume IoT data within their enterprise software. If industries get it right, it will offer benefits for them. According to the report, IoT in the manufacturing sector is expected to stimulate significant growth within several years. The Global Market Insight’s new report IoT in manufacturing is forecast to exceed $150 billion by 2024. To achieve that goal, we need to cope with some challenges. The Food & Beverage Industry face many challenges on exploiting the value of data. This happens as the ERP systems increasingly integrate with social collaboration tools, analytics, mobile computing and cloud technologies. The fact that it is required to connect to the network 24/7, the implementation of IoT is considered expensive and people are incapable to afford the device. Therefore, it will presumably be a substantial initial investment for many industries especially the small to mid-sized F&B manufacturers. However, many believe that the cost will decrease in the near future. Though it is very possible to integrate Food & Beverage ERP and IoT, the ERP system must capably handle the amount of data generated by IoT. ERP needs to be so powerful to manage it. Among the random data you collect through the IoT, there are so many important data which have to be protected. Therefore, you need a strong infrastructure to prevent loss of data. The increasing of volume of data, there is high risk of threat from cyber-attacks and proper measures are required. Though some challenges and obstacles of implementing IoT within the F&B industry appear, it doesn’t mean we cannot start it. There are some small tactics and strategies to adopt the technology into the industry. 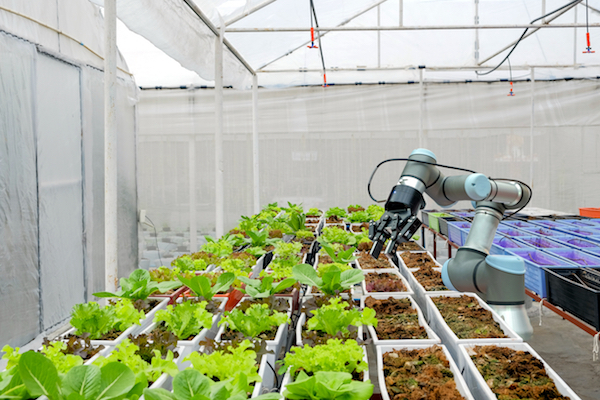 Within the F&B Industry, the implementation of IoT could be on the farm to the customers’ table. On the farm, the sensors will help to monitor weather conditions, crop maturity, and moisture level of soil. 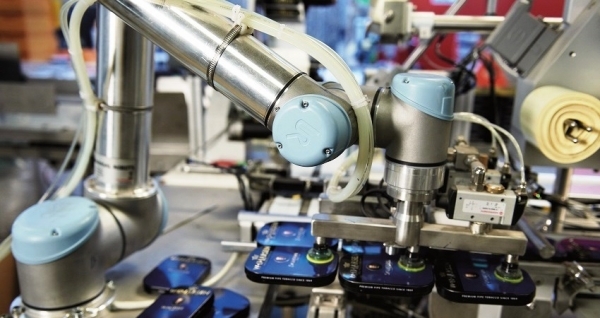 On the machine, sensors cannot only track the machine performance, but also detect an early warning sign of equipment needing preventive service. Meanwhile on the product, sensors can track the product history, including the ingredient, the origin of raw materials, until how the products are proceed with which are very useful for the customers. You may want to follow three of F&B companies which have been implementing IoT within their business. First, Starbucks that finally announced its Starbucks Production Controller (SPC), an intelligent tool for F&B sequencing for both mobile orders and in-store order. 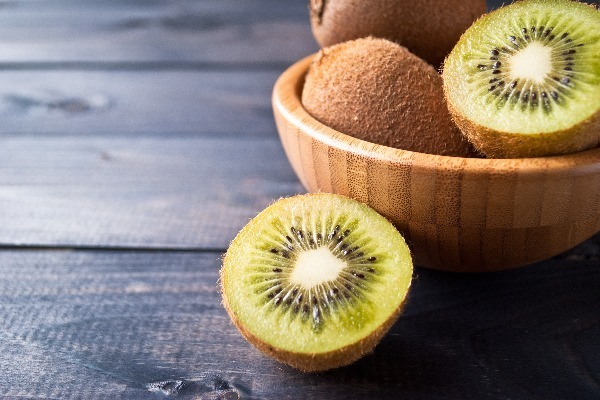 Gerri Martin-Flickinger, a Starbucks executive vice president and chief technology officer in the Microsoft interview recently stated the sequencing of their food has a lot to do with the production capacity in the store and the recipes of the item. “For example, if SPC knows that there’s capacity available in the warming ovens but no capacity on the coffee machine, it will sequence intelligently so that customer’s orders are ready holistically – you get a hot coffee and you get hot food,” she continued. Domino’s Pizza has developed the IoT in the different way. They use it for their Domino’s tracker where customers can see how their order is being prepared, in the oven, and out for delivery or ready for pick up. “We understand how much people love using Domino’s Tracker, not only to know where their order is in the preparation and delivery process, but also to plan around that much-anticipated pizza arrival,” said Domino’s chief digital officer Dennis Maloney. He continued that now they are empowering customers to unleash their imaginations as they promote ways to integrate some of their favorite innovation. Meanwhile, the McDonald company start its IoT debut by introducing its mobile App since two 2016. The reason why they did it is to dynamically personalize the customer experience by combining the mobile app with contextual information and social engagement. “We can’t impact the speed, or quality of our food,” said says Jim Sappington, McDonald’s EVP of operations, digital and technology, as quoted in Reuters. The app allows the customers to pre-order and pay for food through the app. By doing it, he continued that automating orders should reduce errors, cut transaction times and free up the workers to do other things like deliver food to tables or cars. The successful implementation of IoT is always challenging. Every IT leader needs to ensure that they have the brief precaution to implement the effective IoT which will not influence today’s business lifecycle. Therefore, it is significant to follow the tenets for the IoT according to Rob Sheppard, EmEA product marketing manager for Intel IoT stated in The Inquirer. As more devices are connected to the internet, they become vulnerable of various internet attacks. The BBC reported that in January that smart TV sets and fridges have been found sending spam after being compromised. 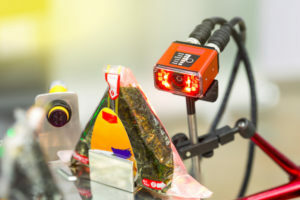 In the F&B industry, this will be a major problem if once the sensors provide the inaccurate information about the allergen information, for example. This will be incredibly risky. That’s why anything that connected to the internet must be protected. Sheppard continued that there are a lot of types of IoT Development Kits that IoT developers may offer ranging from hobbyists and enthusiasts to experienced developers. “Their needs will vary as they go through the innovation, prototyping and commercialization phases,” he said. A Food & Beverage Industries seeking the ways of the improvement of outcomes, communication and services. Though the challenge overcomes, the enthusiasm of the latest trend is still alive. This happens especially there are more products and devices are connected to the internet. Over the years the demand for better IoT-ERP system, especially for the Food & Beverage Industry has increased. Vendors are continuing to adapt and upgrade their system to meet the customers’ needs.